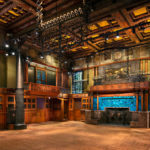 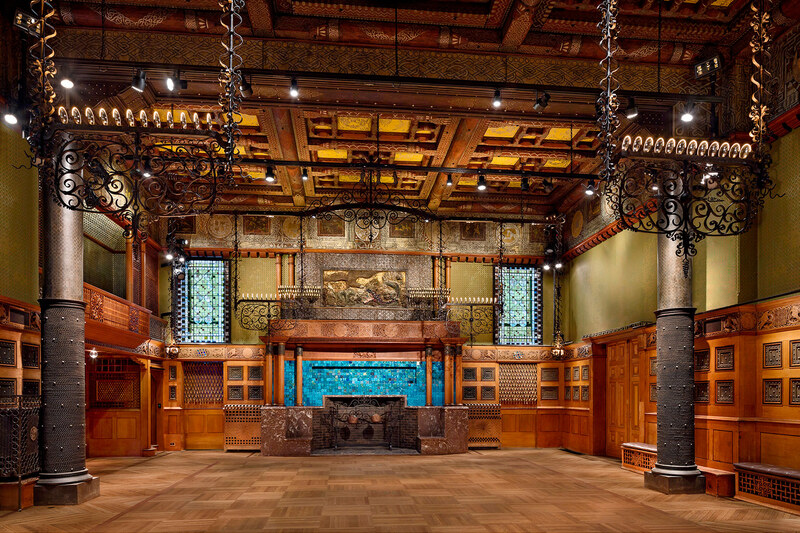 On March 7, the Veterans Room at the Park Avenue Armory reopened after an extensive renovation by Herzog & de Meuron. 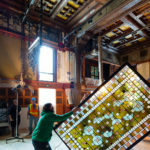 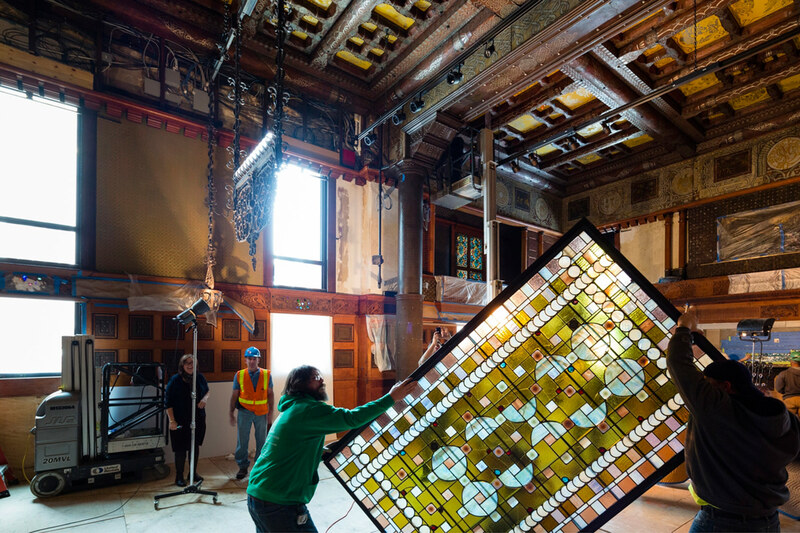 The reopening was the latest in the firm’s multiyear restoration of the building, which began in 2007 and has no set completion date. 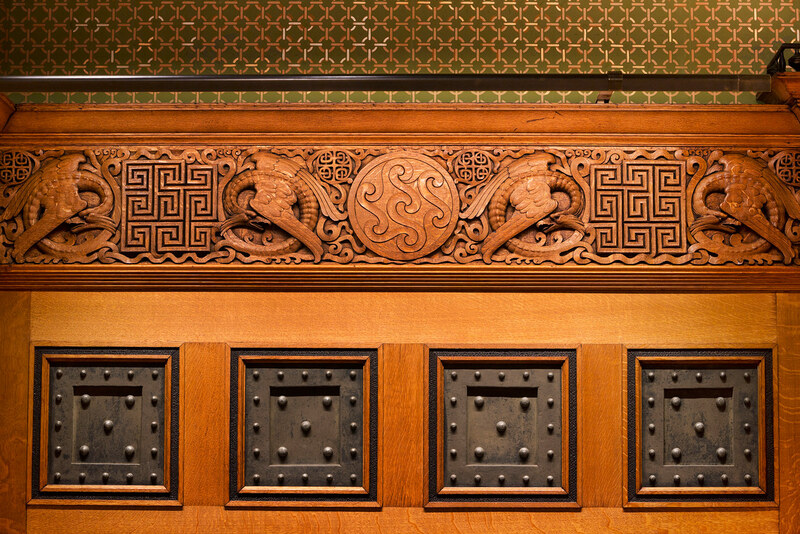 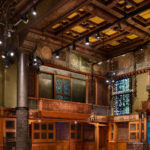 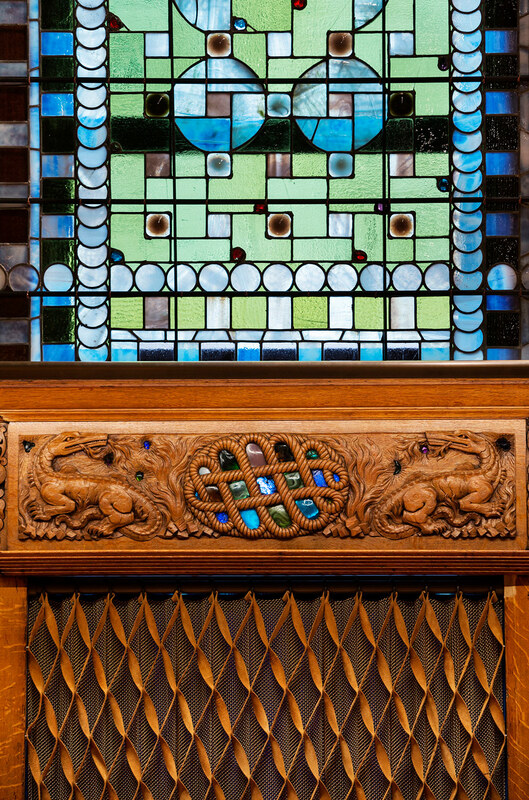 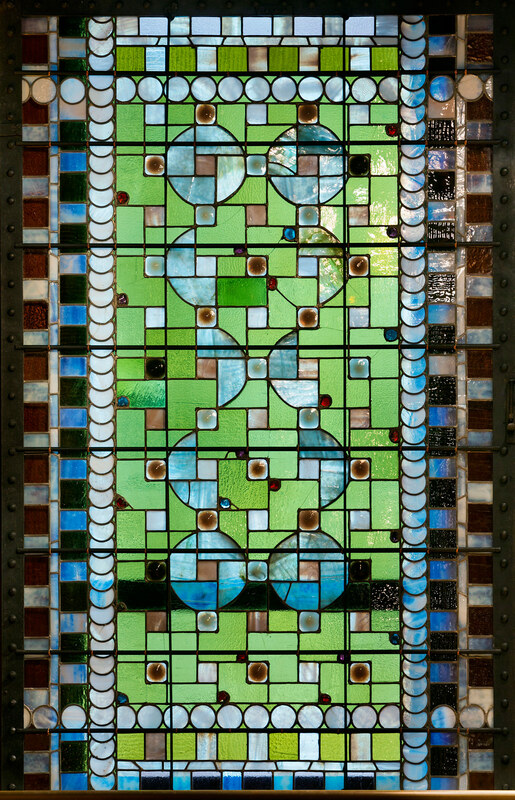 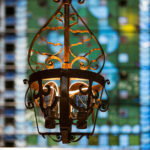 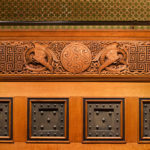 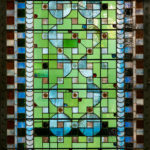 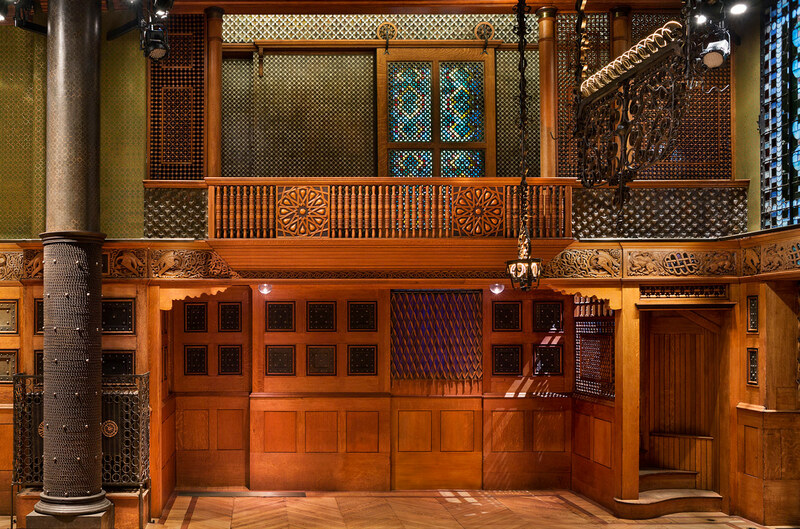 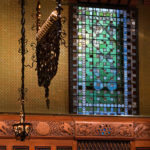 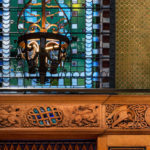 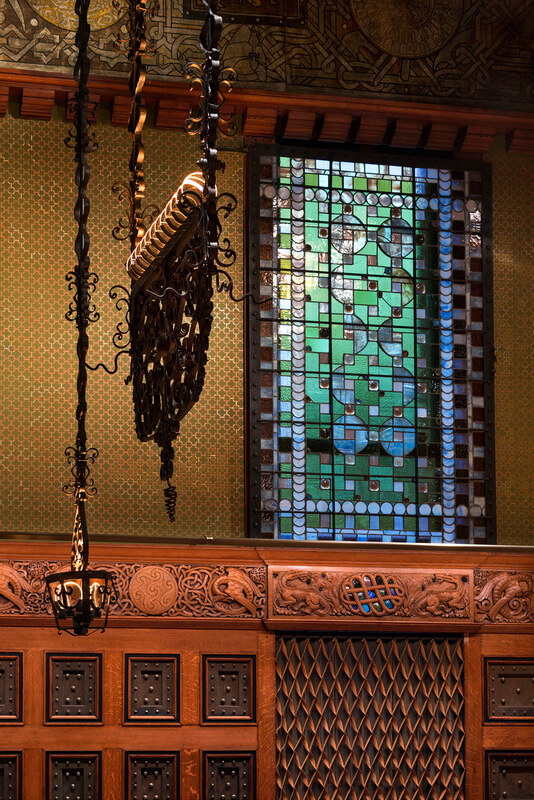 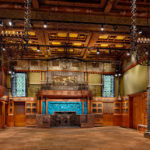 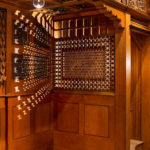 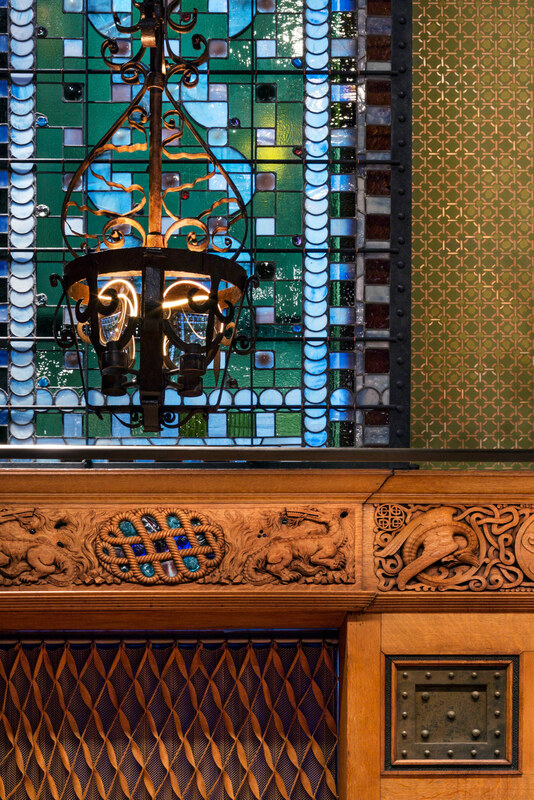 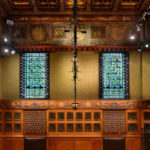 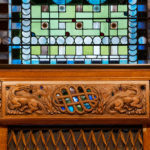 The Veterans Room was originally commissioned in 1879 to Associated Artists—Louis Comfort Tiffany, Stanford White, and Candace Wheeler—who later went on to design Mark Twain’s house, five rooms in the White House, and Cornelius Vanderbilt’s house. 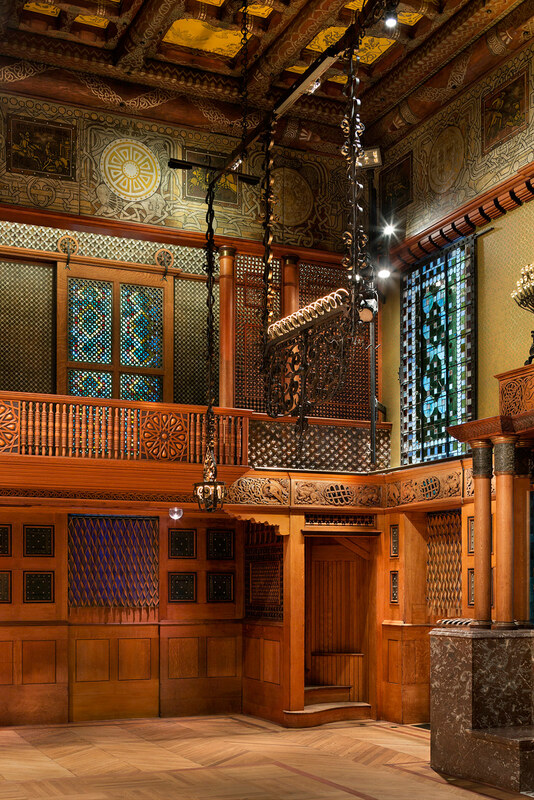 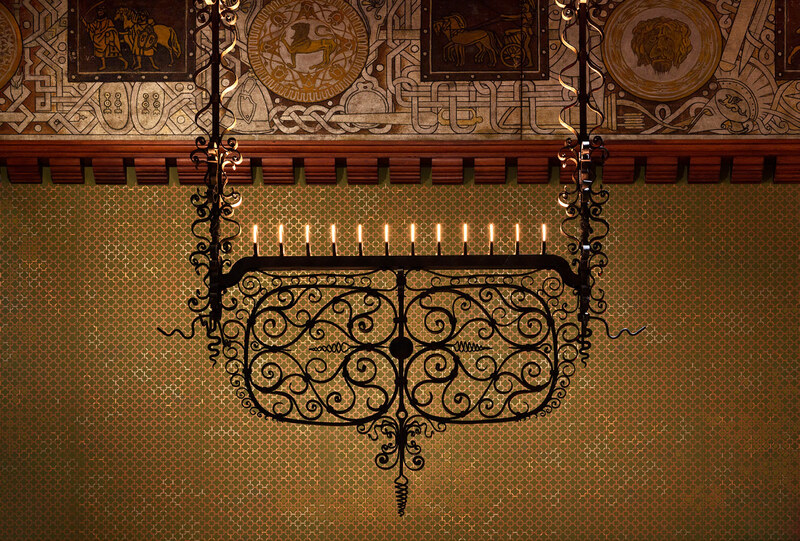 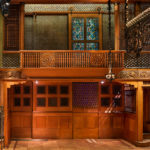 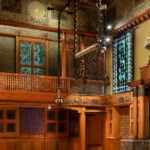 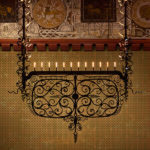 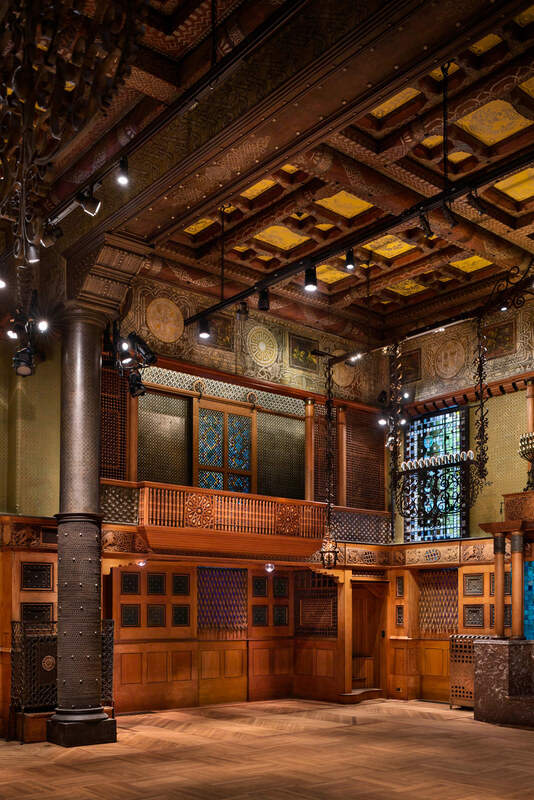 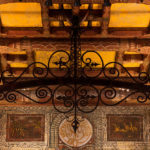 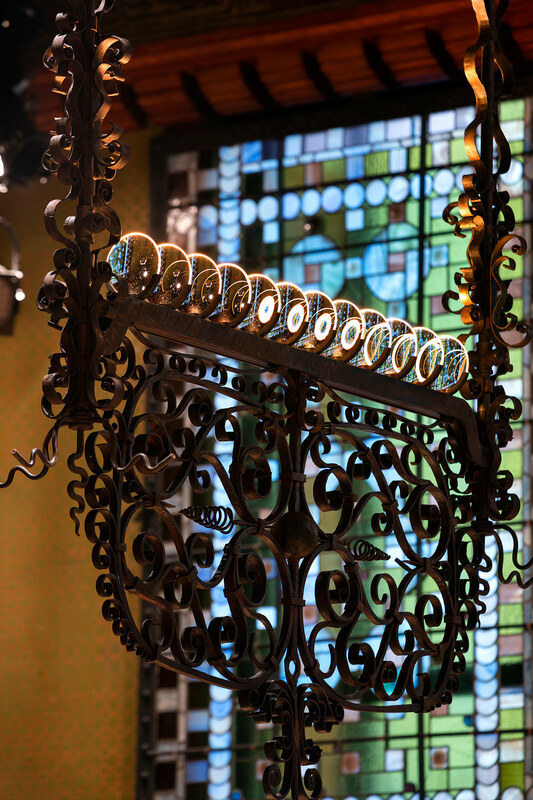 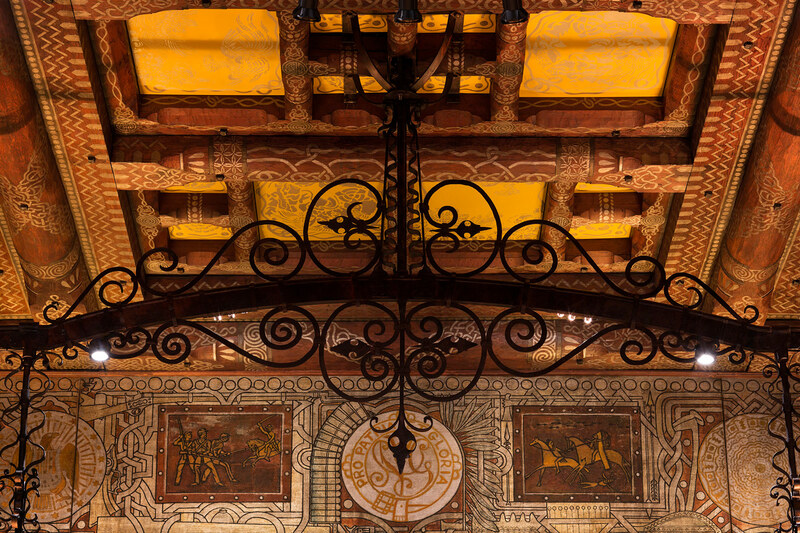 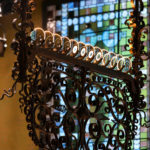 The Veterans Room’s Gilded-Era style is a rich, riotous mash up of Islamic, Chinese, Greek, and Celtic influences: scrolling ironwork hangs from the ceiling while twisting columns frame Tiffany’s dramatic blue-glass mosaic behind the fireplace, and ornate paneling with wooden bas reliefs and colorful embedded glass evokes an intricately carved jewel box. 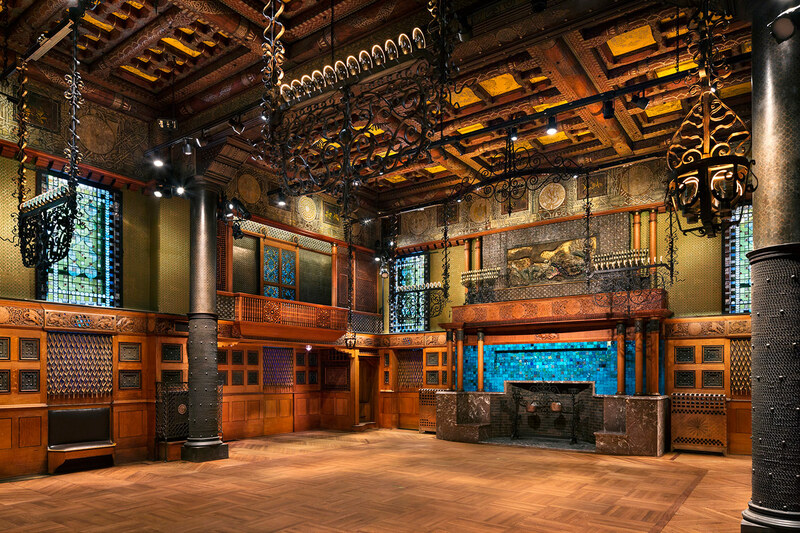 The $8 million renovation of the Veterans Room took approximately one year. 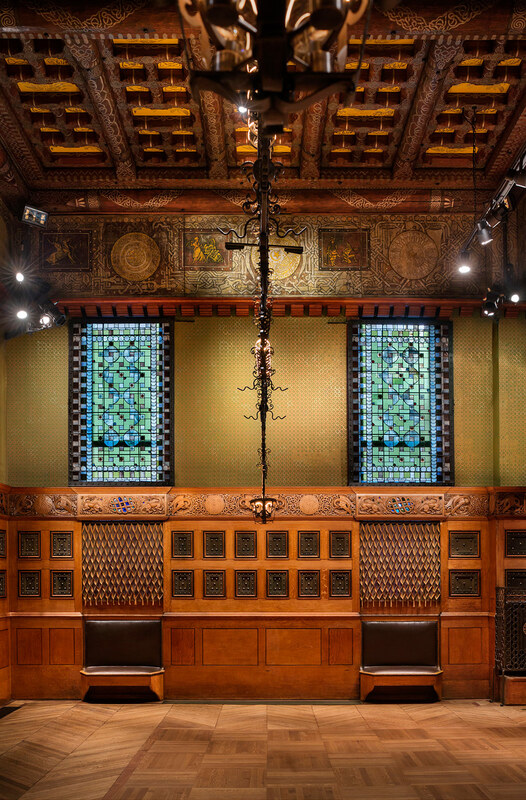 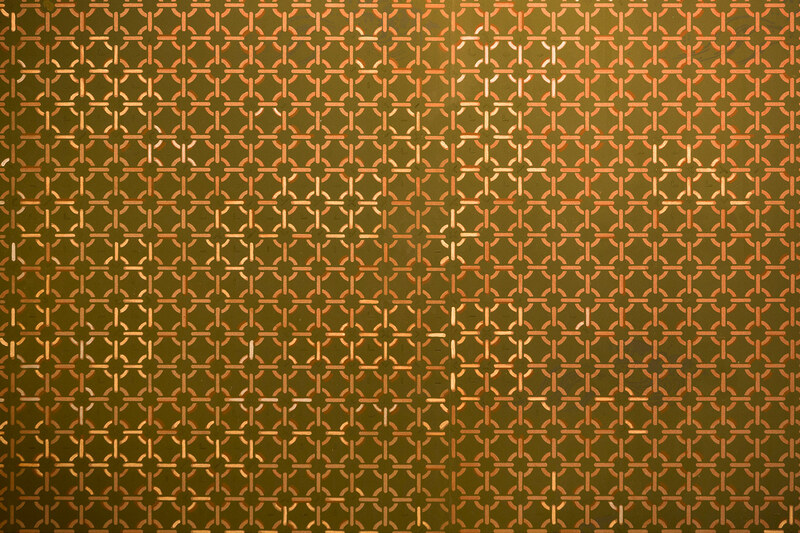 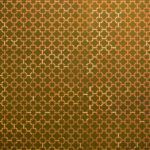 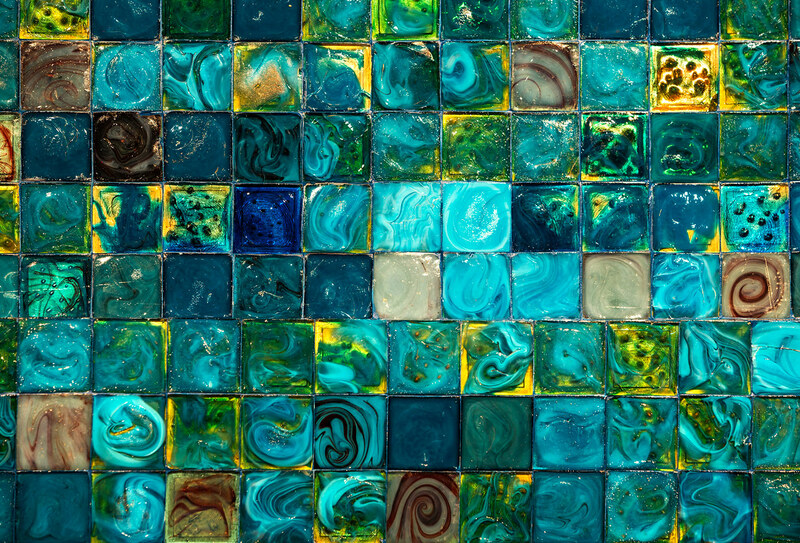 Herzog & de Meuron focused on two core features in particular: the wallpaper, which had been removed in the mid-20th century, and the lighting. 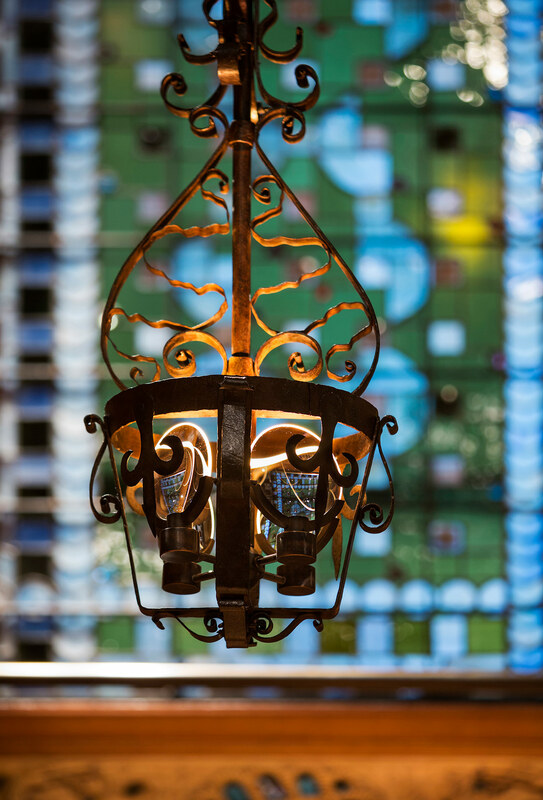 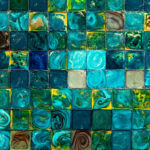 The firm created LED lighting with illuminated glass lenses to replace the original gas fixtures. 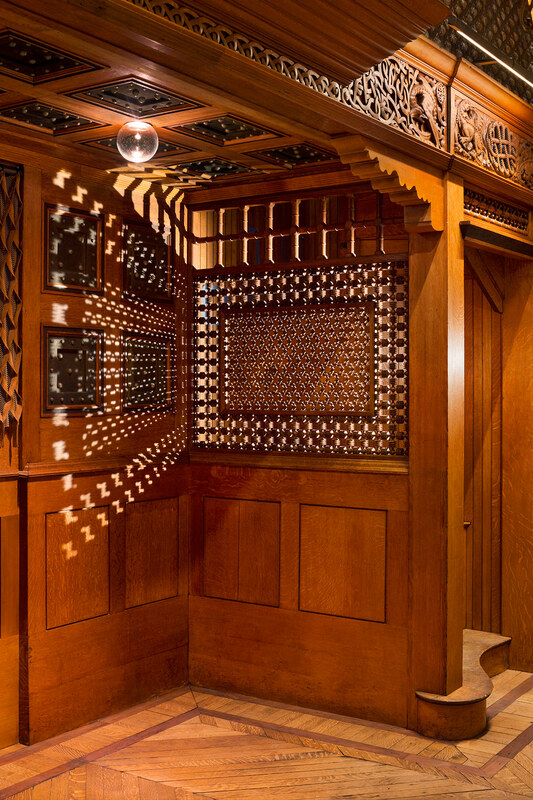 The resulting refracted light achieves a warm, glowing atmosphere for which the Veterans Room was once so famous.